Bob Xu is the biggest and most successful angel investor in China as well as an educator who is passionate about helping the youth of his country attain success. Xu’s mission is to attract and empower people who innovate and to encourage an ethical approach to startups. Known as the founder of ZhenFund, one of the top angel funds in China, Xu has a special interest in the TMT industry. 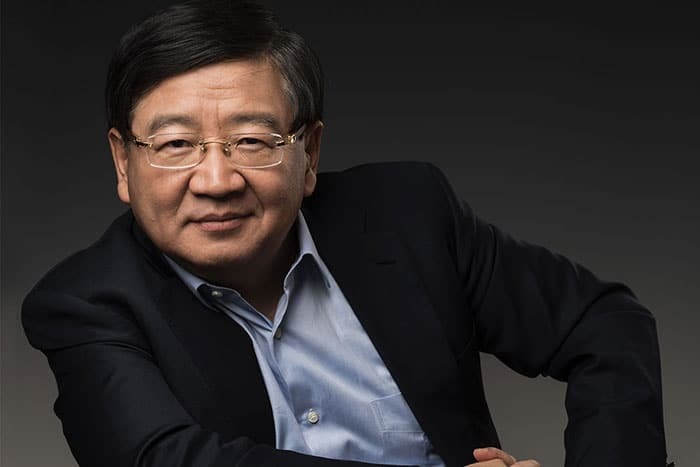 Bob Xu (Xiao Ping Xu) is the biggest and most successful angel investor in China as well as an educator who is passionate about helping the youth of his country attain success. Xu’s mission is to attract and empower people who innovate and to encourage an ethical approach to startups. Known as the founder of ZhenFund, one of the top angel funds in China, Xu has a special interest in the TMT industry. Launched in 2011 with Victor Wang and Sequoia Capital China, ZhenFund has since raised a total of over US$600 million and has funded around 400 startups. Prior to launching ZhenFund, Xu was involved with the education sector as co-founder of the publically listed New Oriental Education & Technology Group, Chinas most highly regarded education provider. Xu is also the chairman of the Angel Investment Expert Committee of China Securities Regulatory Commission, the chairman of China Angel Investment Group, honorary chairman of China Youth Angel Investment Group, and the general secretary of Committee 2005, a group of highly successful people who have a background of being educated abroad. Xu also held the role of advisor at Sky9 Capital. Born in Beijing, China, Bob Xu completed his education before enrolling at the Central Conservatory of Music in Beijing in 1978. He graduated in 1983. In 1989 Xu furthered his education by enrolling at the University of Saskatchewan in Canada where he graduated in 1992. Xu has various vested interests in China and in the United States. Omni Prime Inc., 2014 – Angel round investment in a fintech company using a mobile app called Paymax to offer credit to blue collars in China. Blueseed, 2012 – Seed round investment in a visa-free startup community stationed on a cruise ship in Silicon Valley in the United States. LightInTheBox, 2006 – Angel round investment in a B2C e-commerce platform selling various integrated supply chain products. In July 2018 Caixin Global reported that Avi Hasson, the former chief scientist to the Israeli Ministry of Economy, is in the process of raising US$100 million in finding by a group of investors. Previously, the same initiative included Bob Xu and other eminent Asian investors like Wu Yongming, co-founder and senior vice president of Alibaba Group Holdings Ltd.’s corporate development arm, and David Zhang, the founding managing partner at Matrix Partners China. Xu has received numerous awards from a variety of institutions including, Entrepreneur magazine’s ‘2011 Angel Investor of the Year’, Founder magazine’s ‘2010’s Most Respected Angel Investor’, and Entrepreneur magazine’s Best Angel Investor of 2012’. Xu’s company ZhenFund was also honored as ‘China’s Best Angel Investment Fund’ for two consecutive years from 2014.